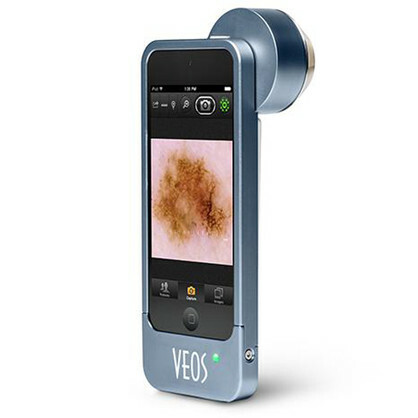 Canfield's VEOS DS3 dermatoscope delivers quality and high-performance digital imaging in a compact, lightweight and highly mobile device. 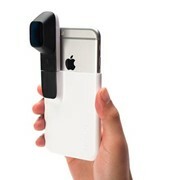 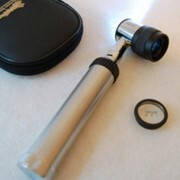 Integrated with the iPod Touch are Canfield's exclusive optics and lighting technologies that when combined, offer a handheld dermatoscope that is outstandingly versatile, ideal for advanced mobile dermoscopy. 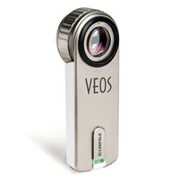 Viewed through the high-resolution touch screen display, the VEOS App enables your DS3 to provide image previews, digital capture, lesion tagging, database management and more. 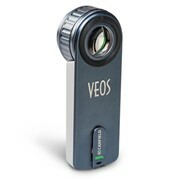 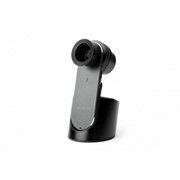 VESO DS3 comes with both polarised and non-polarised lighting modes and switching between the two is easy and quick with the use of a simple button. 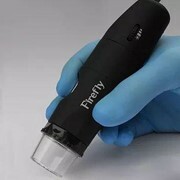 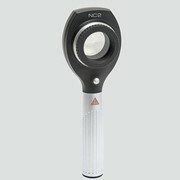 Easily switch between contact and non-contact viewing or take an overview photograph of the patient by rotating the dermatoscope lens out of the way completely.